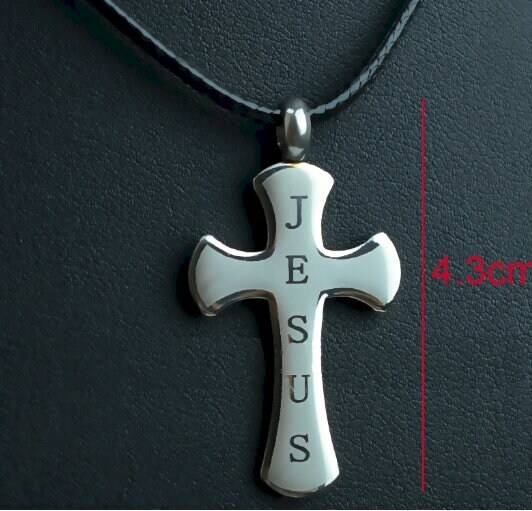 New Fashion JESUS Etched Stainless Steel Classic Cross. 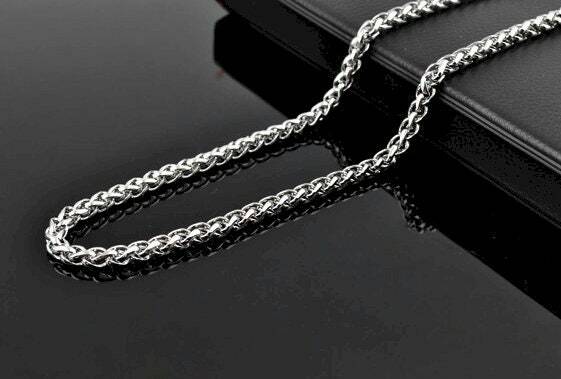 Stunning Silver Jesus Etched Cross Necklace. 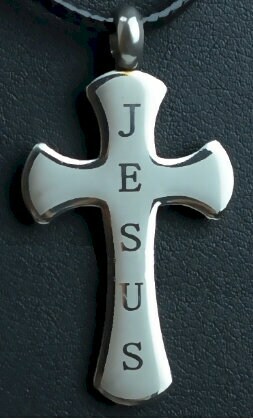 The Cross measures 15/16" wide x 1 5/16" long. 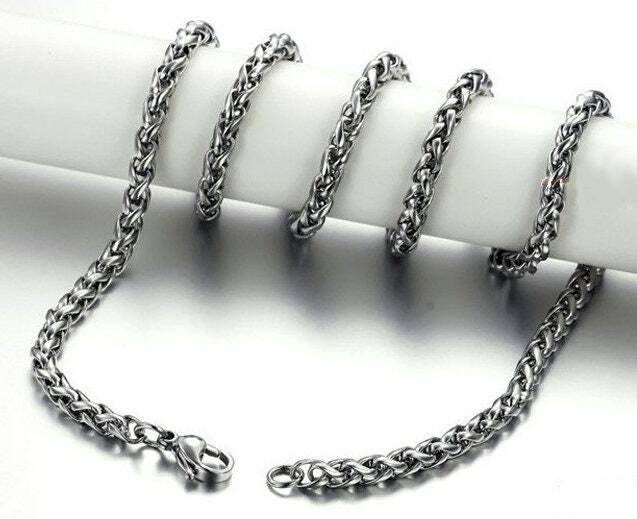 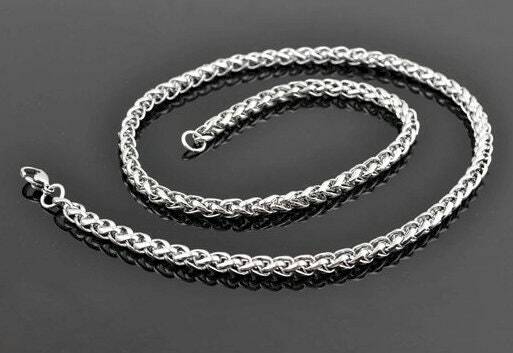 Add our exclusive Heavy all Stainless Steel 4mm wide x 20” braided snake chain chain with positive locking lobster clasp for only $5.00 more!